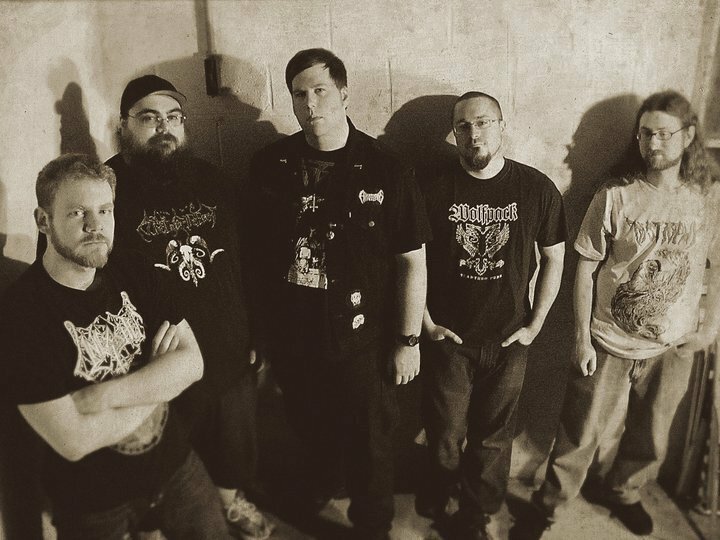 Helcaraxe (2003-present) is a Death Metal band from New Jersey, USA. n late 2003, two twisted minds, clouded in darkness, devised a plan for a musical vision quest into the depths of the ancient past. Thus, Minas Tirith was born. After one self-released demo, entitled Black Flames featuring the membership of Joshua Bowens (guitars; ex-Kult ov Azazel), Bill Henderson (guitars/bass/drums) and Jesse Traynor (vocals/guitars), Minas Tirith became Helcaraxe later that same year under the membership of Jesse Traynor (vocals) and Bill Henderson (guitars). The name of the act came from the name of the "The Grinding Ice", the icy wastes in J.R.R. Tolkien's Silmarillion that formerly lay between Aman and Middle-earth in the north of the world. In 2003 Joshua Bowens temporarily added a second guitar, the role would lay empty again until Jon Tarella stepped in to revise the role in 2008. The previous year saw Pat Henry enter on bass. Mike Donatelli would add drums in 2009. The band would see it's first recording in the form of Triumph And Revenge (2007) when, then, sole members Traynor and Henderson sequestered themselves away in the basement abode of Christ Puncher Studios to write and record an album dedicated to the Norse gods. The pair repeated the trick on the follow-up EP No God to Save You (2008). Broadsword (2009) would see the band in full membership; Donatelli would join in for Red Dragon (2009). After the compilation, Children of Ygg (2013), Resurrection Through Cartridge EP (2013) and The Last Battle (2016) would follow.